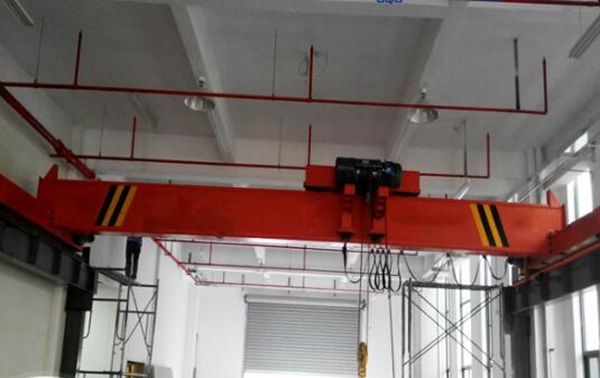 Monorail Overhead Crane Portable Crane Small Crane Best Choice For Light Duty! 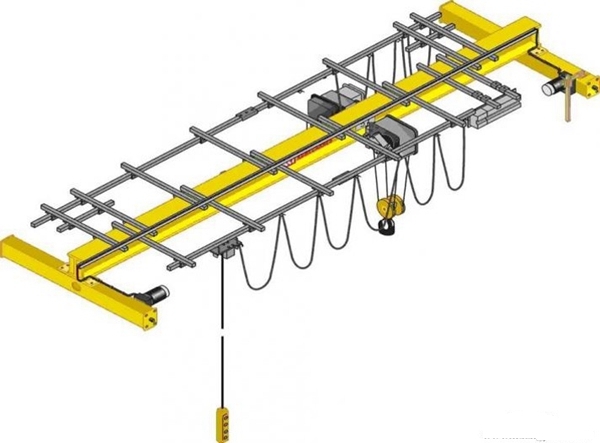 Monorail overhead crane is a simple lifting device with one girder that has a hoist and trolley. It is widely used in plants, warehouse, and material stocks to lift goods. 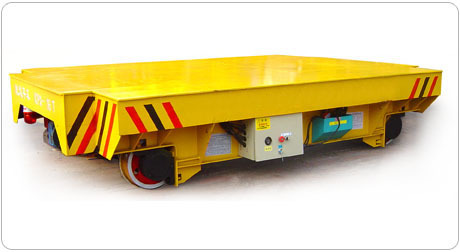 Light weight can makes it lift and transport materials quickly to specific locations, which can improve the working efficiency. Ellsen Group, a top leader crane supplier, provides kinds of monorail overhead cranes with high quality, low price and perfect after-sale crane service. What is a monorail overhead crane? Ellsen monorail crane comes into two types, ceiling type and floor mounted type. Ceiling workstation crane can make the most of existing space. 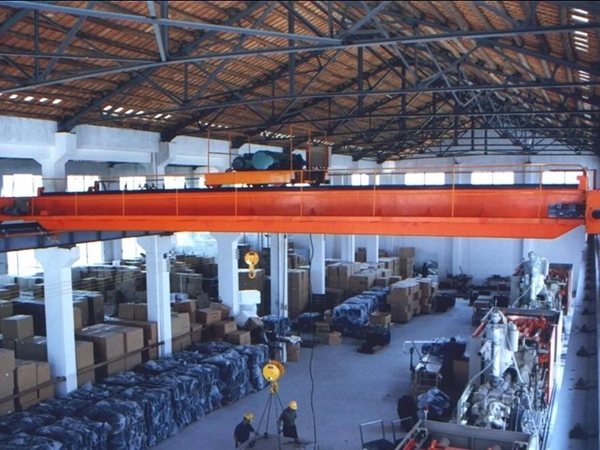 Floor mounted bridge crane can travel stable and smoothly. This product has two operation methods, ground control or cabin control. Cabin control has open type and close type and can be installed on the left or right side according to practical situation. And the direction of entering the cabin has two ways, sideway and end-way. Monorail systems are used in a variety of areas to support processing and handling throughout a facility. 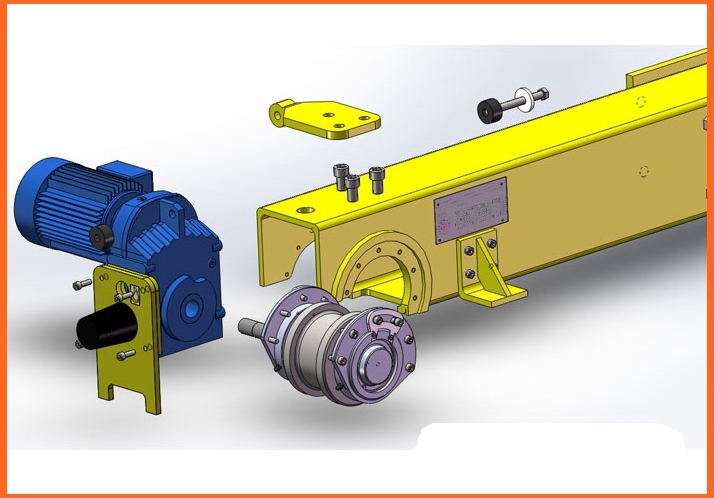 For assembly, the crane moves products through production processes. When positioning, the crane secures a component for additional work. For transportation, the crane load finished products onto open trailers or rail-cars. While staging, monorail crane holds work-in-process for additional production processes. For storage, the crane transports heavy items to and from storage areas. In warehouse, the crane can move large, heavy products to and from docks. Why choose Ellsen monorail crane? 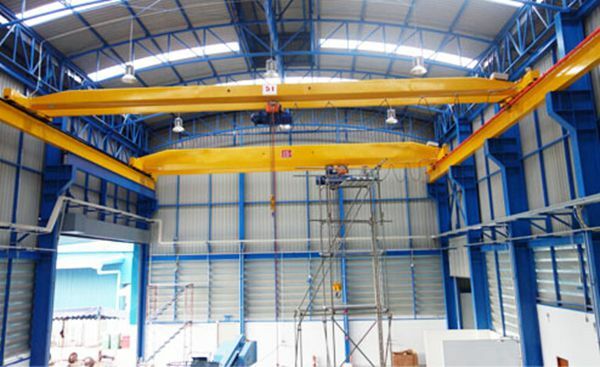 Compared with common overhead crane companies, Ellsen supplies monorail crane type with various advantages. Reasonable structure and configuration make it excellent interchangeable for parts and components. Low noise shows the favorable performance. Crane maintenance and dismantle is also convenient. Big cabin ensures the crane operator good view. Favorable crane prices, high crane safety and precision are Ellsen core competences. This kind of travelling crane can start and stop smoothly. 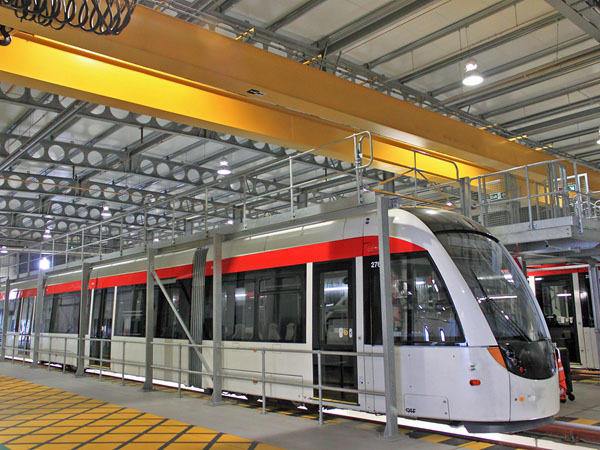 Monorail overhead cranes are used for a number of different industrial and manufacturing applications. The basic concept behind these cranes is simple. There is a track attached to the ceiling that the crane runs along using a set of wheels. Any object that is attached to the crane can be moved along this track easily and quickly. This makes these cranes ideal for situations such as assembly lines where a single product needs to move to multiple locations within a building. There are quite a few different reasons why you may need a monorail overhead crane for your business. For one thing, these cranes can help significantly improve your company’s overall productivity. Because they speed up the production process, they can allow your employees to get more done in a typical workday. This can allow you to produce a higher volume of goods. They also minimize the amount of labor that is involved in moving large objects from one part of the facility to another. Rather than your employees having to lift and move heavy parts or pieces, the crane takes care of all of the heavy lifting. This can help reduce the physical strain on your employees, reducing the likelihood of any long-term injuries from lifting and moving products. When shopping for monorail overhead cranes, there are a few different things that you should keep in mind. First, you need to look for a system that is extremely durable. Some cranes are designed to run on standard I-beams. In most cases, these cranes are not as structurally solid as those that are designed to run on their own special track systems. This is because most crane-specific tracks are made from more durable steel than traditional I-beams. 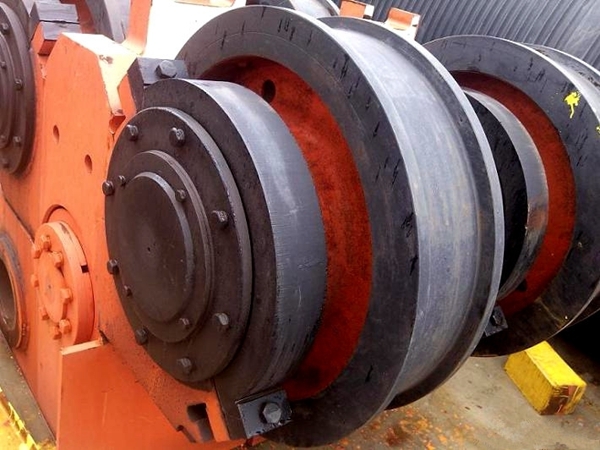 This allows them to withstand the wear and tear of the wheels moving over their surface much better which, in turn, can reduce maintenance costs. Additionally, you should always check the reputation of the manufacturer before you buy one of their products. Check with the Better Business Bureau to see if there any complaints currently open against them. Additionally, try to find reviews from other businesses that use their products to see what other people think of their crane systems. Anytime you spend a lot of money on a piece of equipment, it is important to know what you are getting. Doing this type of research can help you make a smart decision regarding which system is right for your business. 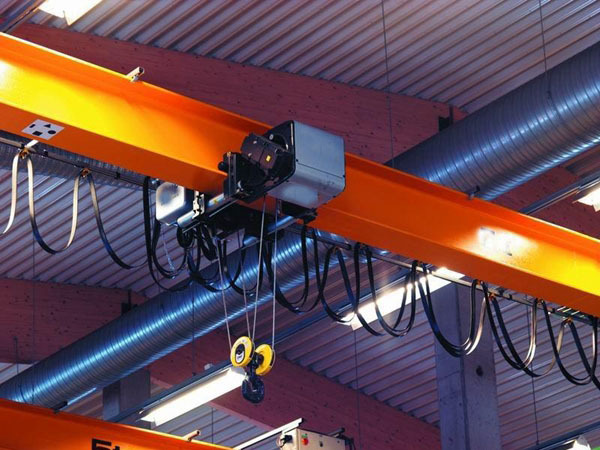 Buying a monorail overhead crane for your business can do wonders for your overall efficiency. By speeding up the process of moving heavy items from one part of your facility to another, they can allow your workers to get more done. Perhaps most importantly, however, they can also minimize the physical impact on your employees, helping to ensure that they don’t wind up injured as a result of doing their job. Most businesses that invest in these cranes find them to be a worthwhile purchase that continues to pay off for years to come. In the past, one of the most dangerous parts of working in a workshop or any other environment with heavy duty machinery was having to lift very heavy things. While hitch and pulley system have always existed to some degree, having to work these devices manually often led to tragedy. In previous eras, many workmen have been injured or even killed by snapping ropes and incorrectly calculated weight ratios. Even more accidents occur when workers try to lift heavy objects without any kind of mechanical support whatsoever, as it is not uncommon for precariously balanced items to crush or pin people under them. And even if there is no obvious accident that occurs, lifting heavy objects without the benefit of support damages the body over time, and can have extremely negative long term effects on an individuals’ knees and back. Since it is so obvious that lifting objects without the appropriated equipment is often very dangerous, one would think that it would be common practice to have some kind of crane or winch in every single workshop, construction, and garage environment. But in reality, not all working environments where employees are required to lift heavy objects are equipped with this kind of machinery. While some of these places may be skipping the hardware because they cannot afford to make that large of a one time lump sum investment, the majority of businesses that operate without a crane do so because they have a limited amount of space in their working environment. Property is by far one of the largest expenses that any business has, and every piece of square footage in a garage or workshop is generally already being made the most of. In these types of circumstances, people are often reluctant to spring for any piece of equipment as large and bulky as a traditional crane. This is where the monorail overhead crane comes into play. 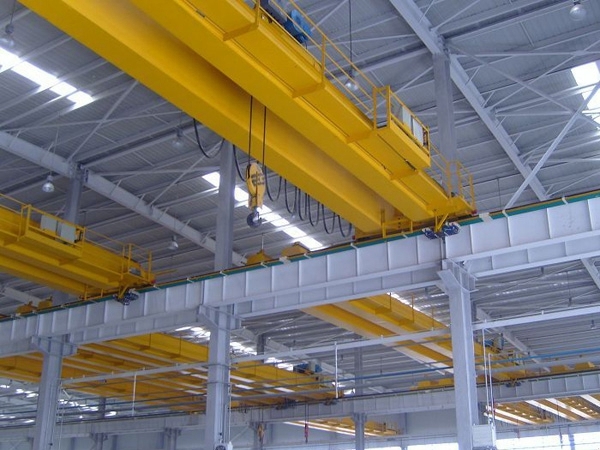 Unlike other cranes, which have a large ground platform that is designed to control and act as a counterbalance against the neck of the crane, the overhead monorail crane is largely removed from the ground. This device moves along tracks that are affixed to the ceiling, and are capable of lifting and moving large and heavy objects around the property. 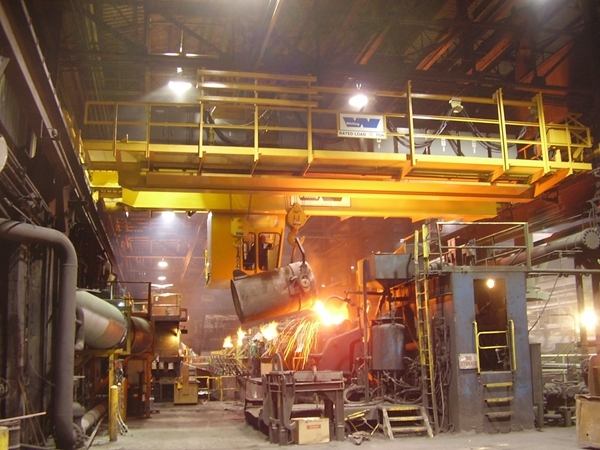 These types of cranes offer two main benefits to workshop owners when compared to traditional cranes. One thing is that they do not end up taking up much space, as they are mostly making use of the empty space above the ground that generally goes unused. The other advantage is that they are capable of lifting and moving this to anywhere the monorail track is installed, meaning they have a much greater range of motion than a traditional ground based crane has. In essence, monorail overhead cranes are the perfect option for anyone who needs the lifting capacity of a crane but do not have the space for a traditional model. These devices are very useful, and can save money as well as valuable time. LD electric single girder overhead crane is composed of main girder, end girder, electric hoist, cabin, electric devices. Before installing bridge crane, make sure whether the installation personnel and tools are in place and take a unpacking inspection for the bridge crane. The followings are about the preparation work before installing LD single girder bridge crane. 1.Check whether the equipment technical document is complete. The document includes product certificate of compliance(one copy), installation, acceptance and use of maintenance manual(one copy),erection with additional drawing(one copy), use of maintenance and attached drawings of vulnerable parts. 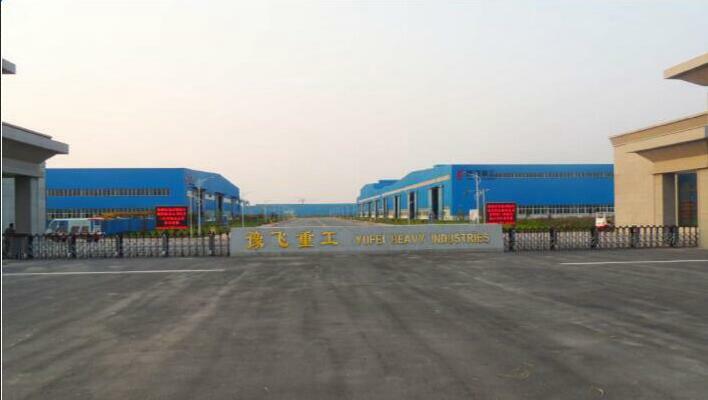 2.According to equipment packing list, check whether the device, material and attached files type,model, specification and quantity are correct, whether the factory certificate and factory test records are complete. 3.Check whether the electrical device turns damage or rust during the transportation, whether the wire rope is broken, twisted,loose or knocked. 4.Make sure the shortest distance between crane and building conforms to the installation requirements. If the distance is not enough, never installing the crane. 5.Before installing the crane, check the crane rail and gear carefully. 6. Clean out the clutters those are not beneficial for crane installation. And put up obvious erection constitution signs. 7.The installation personnel are familiar with the crane technology, controls the technical data about crane installation. 8.According to the installation drawings and related technical documents, study the specific step of installation seriously and remember those processes. 9. 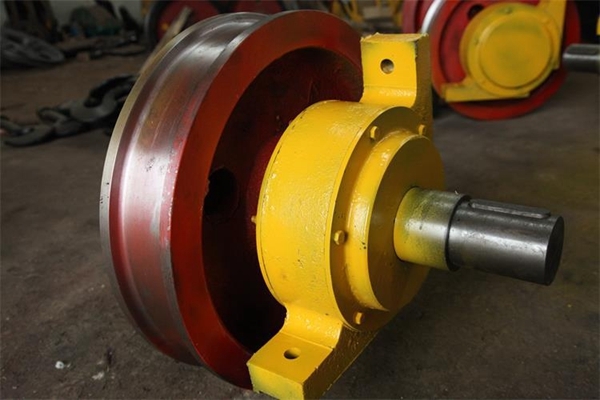 For defect crane parts caused by improper handling or storage, or errors exceeding specified range, just adjust and repair according to technical requirements. For metal structure defects, it is necessary to do the correction on the ground and then carry installation. It is beneficial to do preparation before installing the crane. This can make installation in order,easier and faster and avoid many other problems. What is monorail crane price? 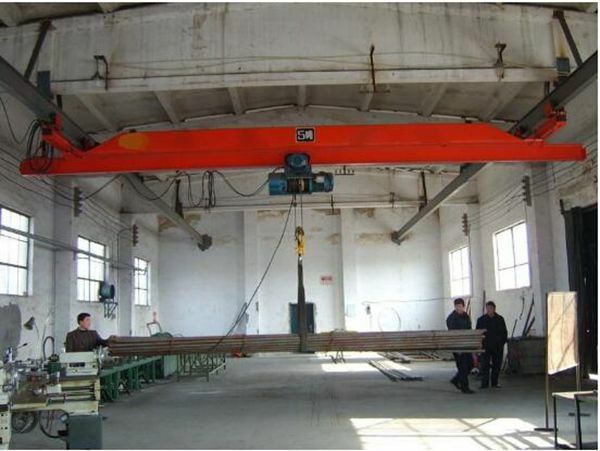 overhead monorail crane is kind of light duty overhead crane. It is composed of portable monorail, end girder and electric hoist. Compared with double girder bridge cranes or heavy duty lifting crane, monorail crane has simpler structure and lower price. Many customers send quotation to ask about crane price. Monorail crane price is not stable, it is related to many factors, such as the lifting height, traveling span, working environment, electric hoist and so on. Ellsen Group, a well-known crane supplier in China, provides customized service to meet different requirements. For example, the crane is used in inflammable and explosive environment, Ellsen provides explosion-proof cranes and metallurgical cranes for sale. With reliable safety devices and stable performance, Ellsen bridge cranes can accomplish lifting work faster and better. 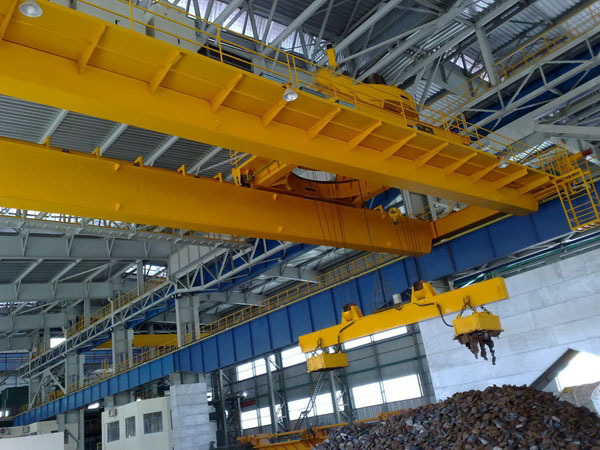 Single girder overhead crane is a special device for lifting and transporting material. As a large and heavy device, the safety protection devices are necessary. The following is brief introduction of three important protection devices. Overload limiter device is used for forbidding the crane overload. It is designed as wire rope side pressure type. When the material weight reaches 90% of rated weight, the device send a intermittent alarm.The green light lights and shows the material weight. If the material weight is the same as rated weight, the device sends intermittent alarm again. The yellow light lights and shows the material weight. 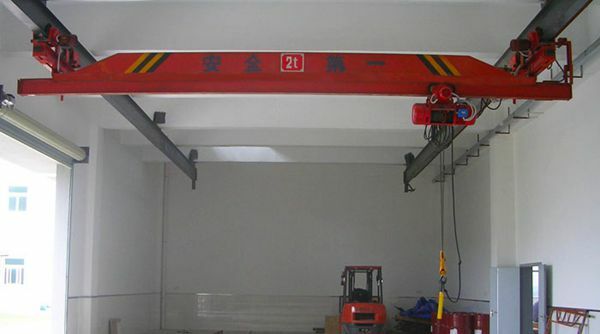 If the material weight exceeds the rated weight, the device sends intermittent alarm again.The red light lights and the device prolongs two seconds to cut off the crane lifting power automatically.At the same time,the crane can’t lift material any more. 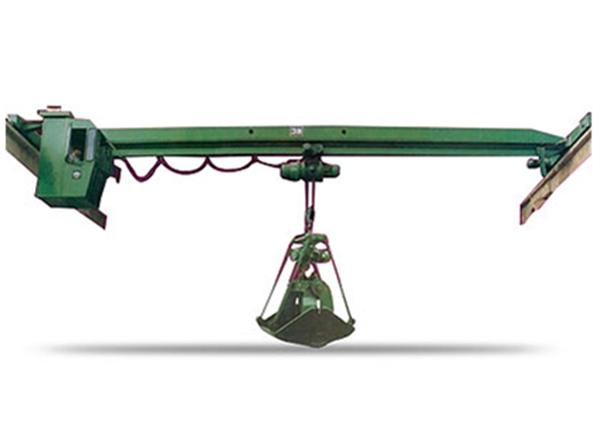 Upper and lower limit device is used for controlling safe position of lifting hook. 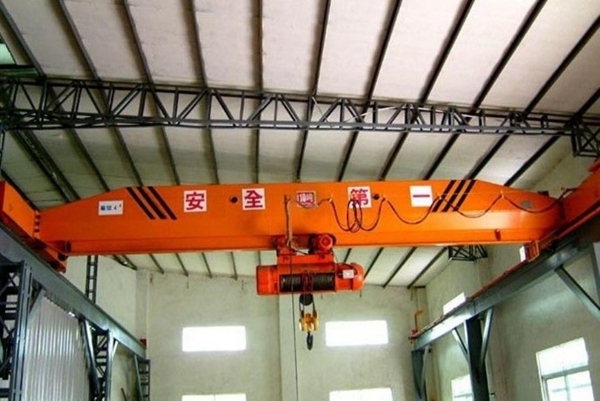 It can avoid the accident that lifting hook hits the crane. When the lifting hook up and down, rope guide device travels together with stop block. Once reaching up limit position, the stop block cuts off two groups normal closed points. Electric motor is off the power and can’t rise up. This can protect the hook from hitting the crane. At that time, the hook can run down. Electric hoist upper and lower limit way includes two types, limit switch and fire-off device. Traveling switch is called anti-collision device.This switch is used for limiting mechanical traveling position or distance. It can make machine stop automatically, move inversely or travel at various speeds or move back and forth automatically. 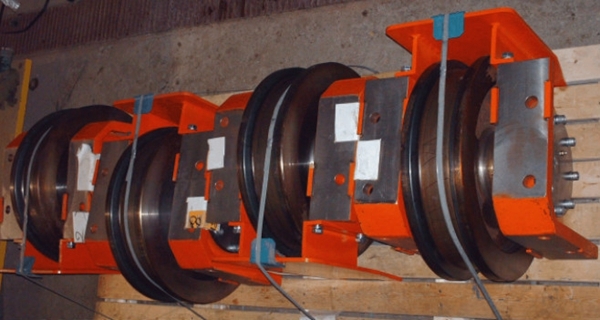 These three protection devices are key safety devices for single girder crane. After installation, adjust and test the devices to make sure good condition, reliable,effective and sensitive. 4. Compact structure, small and light.